Students will compare the gender roles, cultural practices, and technology of 1950s Wy’Am people to their own lives today. Students will use the PDF version of the nonfiction narrative book Linda’s Indian Home, by Martha McKeown, and the activity questions (handouts) throughout the week to demonstrate drawing conclusions and comparison skills. RL.4.6 Compare and contrast the points of view from which different stories are narrated, including the difference between first- and third-person narrations. RI.4.1 Refer to details and examples in a text when explaining what the text says explicitly and when drawing inferences from the text. RI.4.6 Compare and contrast a firsthand and secondhand account of the same event or topic; describe the differences in focus and the information provided. RI.4.7 Interpret information presented visually, orally, or quantitatively (e.g., in charts, graphs, diagrams, time lines, animations, or interactive elements on Web pages) and explain how the information contributes to an understanding of the text in which it appears. SL.4.1 Prepare for and participate effectively in a range of conversations and collaborations with diverse partners, building on others’ ideas and expressing their own clearly and persuasively. SL.4.2 Integrate and evaluate information presented in diverse media and formats, including visually, quantitatively, and orally. One copy of The Oregon Encyclopedia’s entry about the author. Students as a class will decide how to refer to the Wy’am people in the book since many find the term Indian inaccurate or offensive. Last week we learned how to deepen our skills of envisioning and summarizing. We did this with fiction and nonfiction narratives about Celilo Falls. Today and this week, we will take a look at author’s purpose and perspective. What other words have you used in the past, but for some reason you don’t use them anymore? Turn and talk. In your research, you might discover certain words or perspectives that are outdated. For example, we don’t use certain words anymore, like “rad,” or even “dis” and “epic” are becoming old and many people choose not to use them anymore. How we view certain people and places changes, too. When I was in school, we referred to African Americans as “Blacks.” While some might still use that term, others choose African American for a number of reasons. 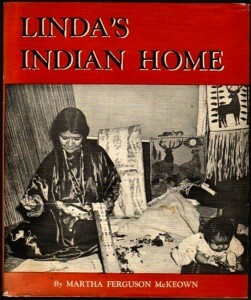 Show students your copy of Linda’s Indian Home. Announce that you will be learning and practicing a variety of reading and thinking strategies using this book. Share that it was written in 1953 and that the book uses “Indian” to refer to the local tribal people along the Columbia River. Many people find the term Indian offensive. Announce that you do not believe that the author was trying to be offensive. In fact, she was a beloved member of the community. Read the information about the author from The Oregonian. Today we will decide as a class how we will discuss the book when it refers to the Wy’am people this book is about. Should we say “Indian” like the author did, or should we use “Native American,” a term that many people prefer over “Indian”? Or should we use their tribal name “Wy’am”? If you have identified Native children (and don’t be fooled by fair skin, blue eyes, or blonde hair), before the lesson, give them a heads up. Let them know what your goals are and ask if they would like to be involved. If they decline, do not appear disappointed. Many Indian students are quiet and would rather listen than talk or instruct others. Also ask if your Native student has a preference on how to refer to the Wy’am people when discussing the story. “Since Time Immemorial: Tribal Sovereignty in Washington State” website: http://www.indian-ed.org/sti-videos/. Click the “Celilo” tab for access. “Celilo” PowerPoint from Episode 1. Classroom sets of the handouts for Episode 2. Oregon History Project’s Historic Viewer on Celilo Falls. 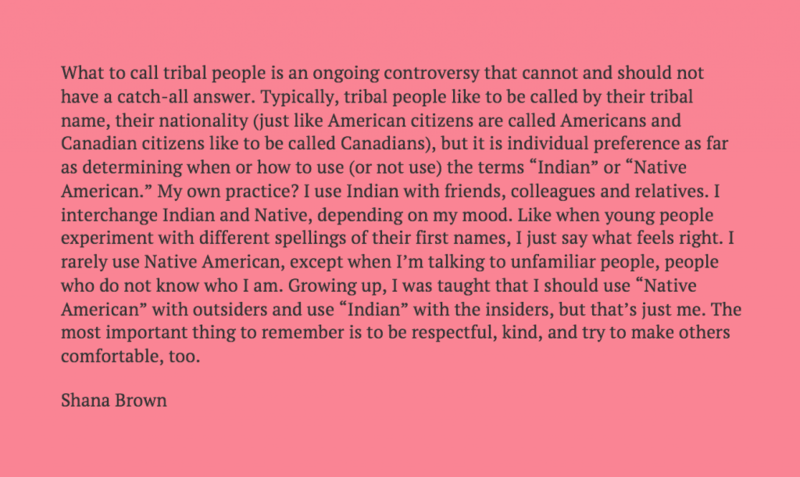 Yesterday we decided how we will refer to the Wy’am people when we discuss Linda’s Indian Home. We decided that we would________________. Over the next three days, we will read the story and practice reading skills—predict, envision, and author’s purpose and perspective.’s talk about the importance of the place, who felt it was important, and why. What kind of “shoes” do you think we will need to read this book? Sometimes it is helpful to put ourselves in the shoes of the author to better understand what we read. This especially helps us when we learn about history. The story is broken up into sections that correspond with the handouts in Linda’s Indian Home Activities. The handouts are written using Smarter Balanced prompts. Throughout the telling and studying of the story, use the handouts for Episode 2 as launching points and formative assessments of reading comprehension. View select slides of the Celilo Falls PowerPoint located in Episode 1 materials so that students understand the practice of dipnet fishing and other Wy’am references and customs (talking points are in the presenter’s notes). View Oregon Historical Society and YouTube videos on Washington State’s “Since Time Immemorial: Tribal Sovereignty in Washington State” website: Click the “Celilo” tab for access. Echo of Falling Water video shows dip net fishing and the sound of the falls. This is very useful for understanding where Celilo received its name. The Last Salmon Feast shows footage of the first foods ceremony just before the inundation of Celilo Falls. As students read, have them jot Post-It Notes about what they learn. You can use this strategy for any lesson that includes reading nonfiction. You might revisit “Celilo Nonfiction Student Facing Rubric” from Episode 1 to demonstrate Level 1, 2, and 3 exemplars. Have students practice in pairs. Assess by having students put their names on their “Proudest Post-It” and collect them. Divide them into levels 1-3 to assess who needs closer guidance and re-teaching of skills. At the end of each section, use the Linda’s Indian Home Activities and Linda’s Indian Home Smarter Balanced Questions to do the following. Support paired reading and close reading (aloud) of sections with partners. Comparison activities using “T” charts and Venn Diagrams. NOTE: Higher level readers may choose to use these “T” charts and Venn Diagrams as prewriting activities to analyze authors purpose. In pairs or in trios, students can create a foldable (instructions in Episode 2 folder) that explains and compares various aspects of Wy’Am life as depicted in the PowerPoint, the videos and Linda’s Indian Home. Comparison of 1953 jobs and foods to the present. Analyzing and evaluating the purpose of Linda McKeown and the advertisers of a popular Indian costume.